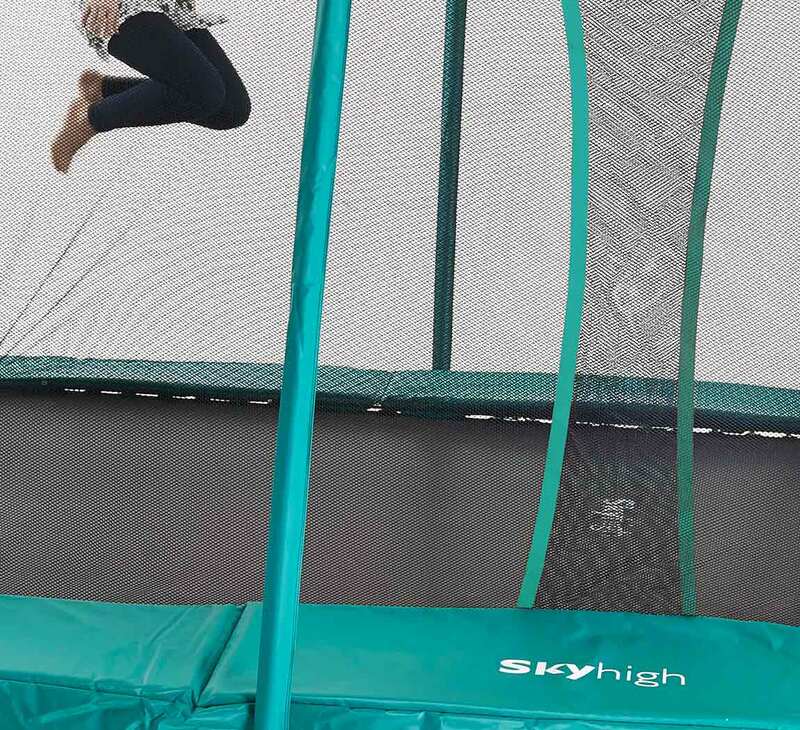 The 10ft x 14ft Skyhigh Rectangular Trampoline, Enclosure, Cover and Ladder has a terrific even bounce which won't pull the user into the centre. 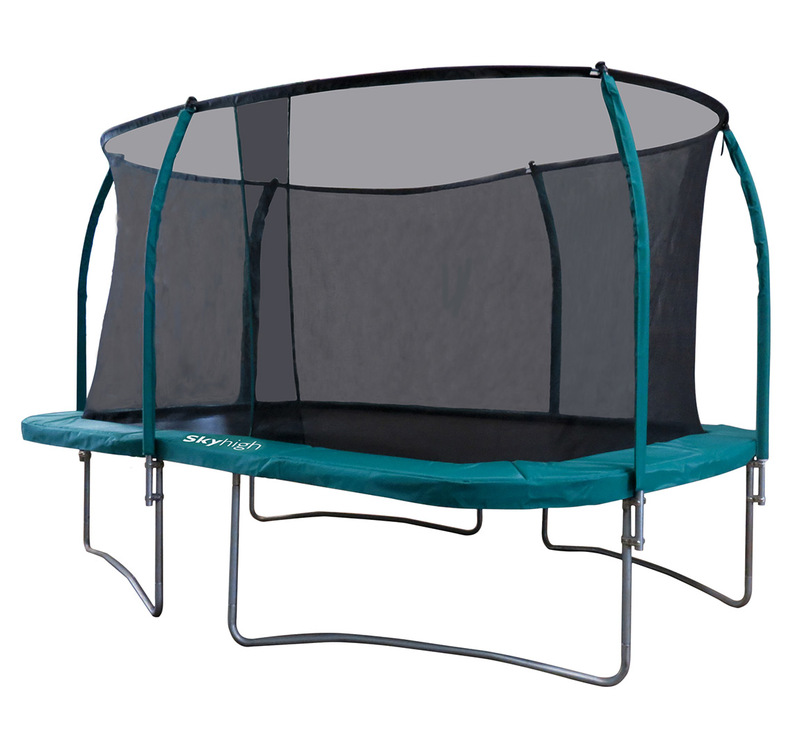 It means you can cover the large mat and have the most fun possible while you enjoy your trampoline. This 10ft x 14ft is equipped with safety technology to make play time worry free. 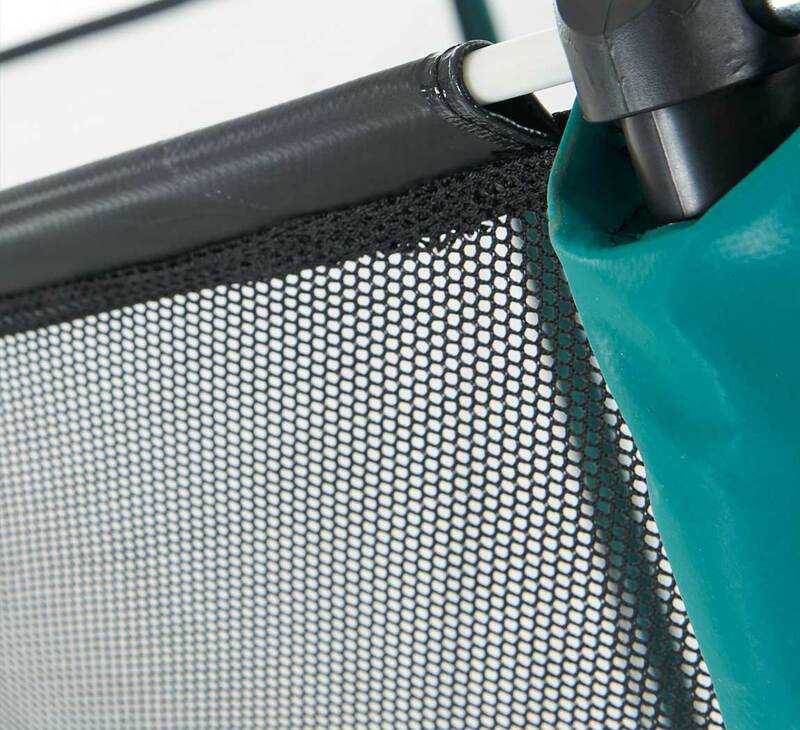 The enclosure is designed to pull tight to avoid the user leaving the mat and the pads prevent contact with the springs and frame. The deal also includes a cover and ladder. 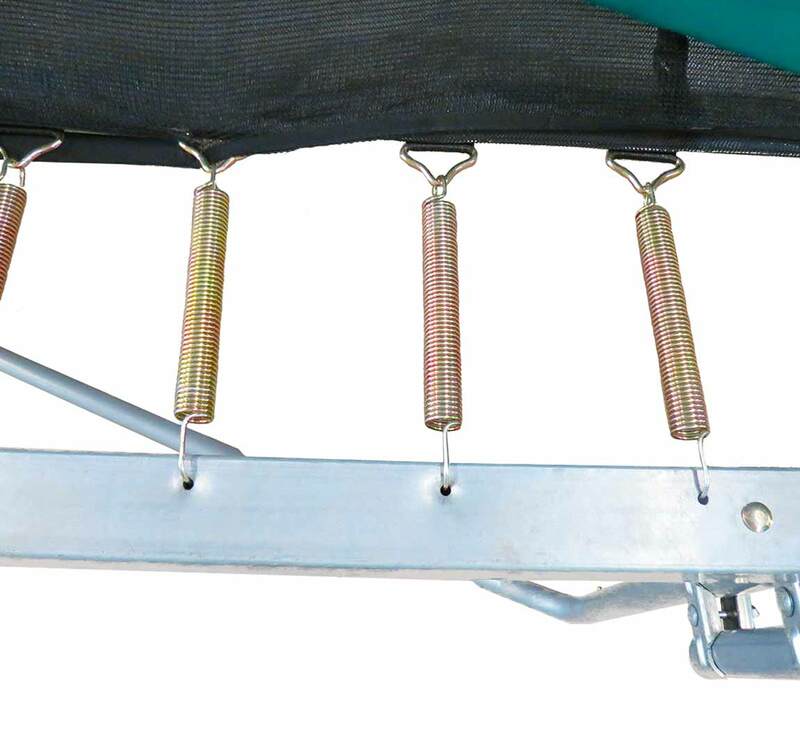 The cover keeps the trampoline in good condition and the ladder allows safe access to the mat.